Kathak Dance is one of the eight forms of Indian classical dance. The name Kathak is derived from the Sanskrit word katha meaning story, and katthaka in Sanskrit means he who tells a story, or to do with stories. This dance form traces its origins to the nomadic bards of ancient northern India, known as Kathakars or storytellers. Its form today contains traces of temple and ritual dances, and the influence of the bhakti movement. 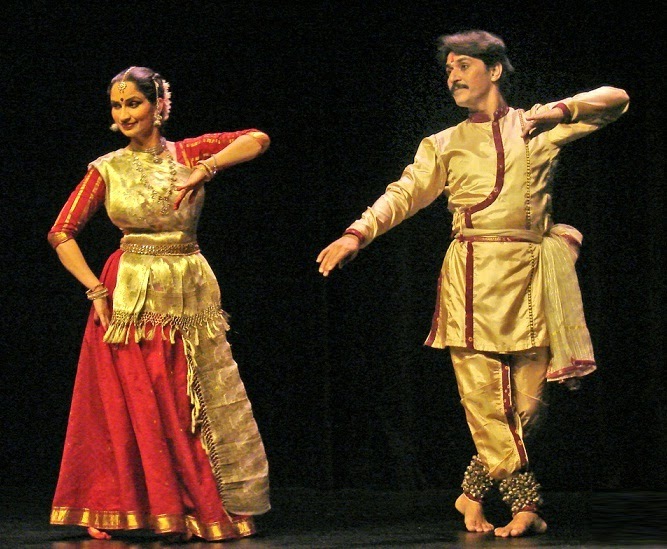 There are three major schools or gharana of Kathak from which performers today generally draw their lineage: the gharanas of Jaipur, Lucknow and Varanasi (born in the courts of the Kachwaha Rajput kings, the Nawab of Oudh, and Varanasi respectively); there is also a less prominent (and later) Raigarh gharana which amalgamated technique from all three preceding gharanas but became famous for its own distinctive compositions. Kathak Dance is famous and brilliant dance form in Rajasthan India. Kathak Dance Dancers dress traditional colourful dresses during Dance. The background classical music play with tabla, sarangi, and sitar etc. Kathak Dance is a very attractive dance of rajasthan. This dance form is basically dedicated and performed for the Hindu Gods and earlier used to be performed only in temples and then slowly moved its base to the courts of the rulers like the Nawabs and the Maharajas of the Hindu mythology. This was considered as a royal and lavish entertainment for these nawabs and maharajas. This dance form grew and flourished in the Jaipuir Gharana in Rajasthan which was only pure dancing and focused more on the expressions and the technicalities of the dance form. FAQ. Which dance has origins from Rajasthan ?